Why, hello there! It’s late, I’m tired, but I’m not letting that stop me from bloggin’ up a storm. Or. Something. Good news! Fox News is actually helping to elect Obama. Kids these days: they’re drinking less alcohol, smoking less tobacco, but are totally into cannabis. But relax. Take it easy! Comedian Louis C.K. did quite well on his little $5 video experiment. Good for him! Here is some choice street art. Here are cat http status codes. 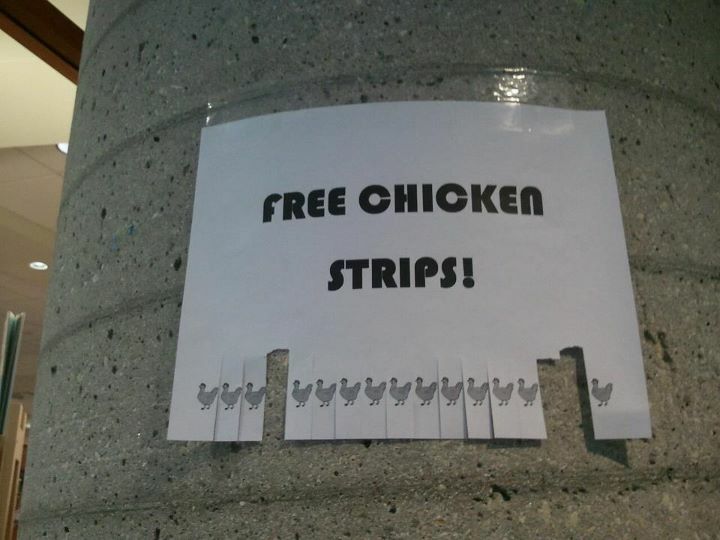 Here are some free chicken strips. Take care of yourself, good friend.